Chief Jarrod Mudd was born and raised in Caneyville, KY. He is the proud father of two daughters and is a graduate of Grayson County High School. Chief Mudd started his policing career at the Leitchfield Police Department in 2001 where he served as Detective. In 2007, Chief Mudd left the LPD and started working as an EMT, Firefighter, and Police Officer at the Louisville Airport. He has also been with the Grayson County Sheriff’s Office since 2007. Jarrod enjoys racing and riding dirt bikes, physical fitness and biking. 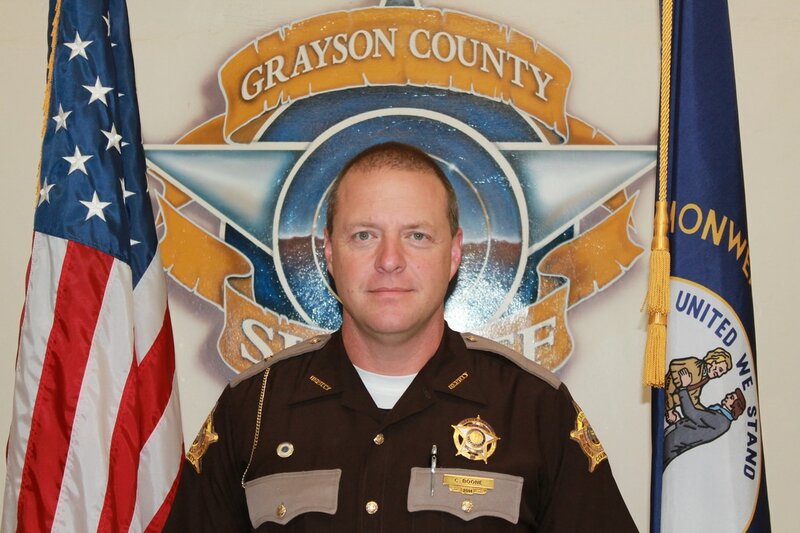 Lt. Dennis Poteet is a lifelong resident of Grayson County who graduated fro Grayson County High School in 1987. He has a criminal justice degree from ECTC and started his police career at the Leitchfield Police Department in 1997. In 1999 he transferred to Grayson County Sheriff’s Office and remained there until 2003. 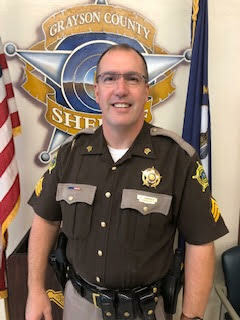 In 2003 Lt. Poteet went to work for the Louisville Metro Police Department where he spent a total of 15 years and 5 years as patrol officer before transferring to the Traffic Bureau where he was tasked in Accident reconstruction and accident investigations for all fatal collision that occur in Jefferson County. In August 2017 Lt. Poteet retired from the Louisville Metro Police and in November 2017 joined the Grayson County Sheriff’s Office where he remains on the job today. When not working he enjoys hunting and fishing as well as spending time with his wife of 28 years, Melissa and their two children. Sgt. Clay Boone is a 1987 graduate of Grayson County High School. He retired with 23 years of service with the Louisville Fire Department. He served at Court Security Officer before working patrol with the Grayson County Sheriff’s Office where he started in 2013. He enjoys hunting and shooting. 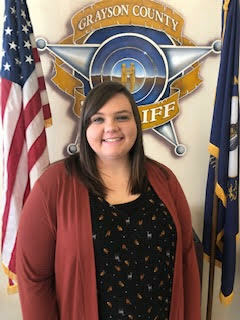 Deputy Kelsey Overton was born and raised in Clarkson KY. He is a proud father of one daughter and a graduate of Grayson County High School in 2012. After high school he received an Associate’s Degree in Criminal Justice from Elizabethtown Community College before becoming a deputy in 2017. He enjoys working out, target shooting, working on trucks and spending time with his wife and daughter. Deputy Mark Johnson was raised in Hart County. 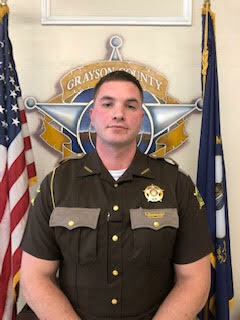 Johnson started his career with the Glasgow Police Department in 2016 and joined the Grayson County Sheriff’s Office in 2018. Johnson is a husband of over eight years and a proud foster parent. Johnson enjoys physical fitness and spending time with his family. Sgt. Fred Norder was born and raised in southern Wisconsin and had moved to Grayson County with his wife and four children to be closer to his father's family, the late Henry E. Henning. Sgt. Norder attended the Blackhawk Technical College in Wisconsin for Police Science and Supervisory Management. Sgt. Norder began with GCSO on May 1, 2017 after serving 23 years as a police officer in the State of Wisconsin, with nearly 20 years served at the Lafayette County Sheriff's Office on patrol. Sgt. Norder was previously an instructor in defense and arrest tactics, ground defense and Taser for the Southwest Wisconsin Technical College for over 16 years, as well as a D.A.R.E. Instructor for Lafayette County. Sgt. Norder is currently handling Grayson County's K9, Marco, which is Sgt. Norder's third K9 partner. During his off time, Fred enjoys cooking, hunting, fishing, attending church and most importantly anything that involves spending time with his family. 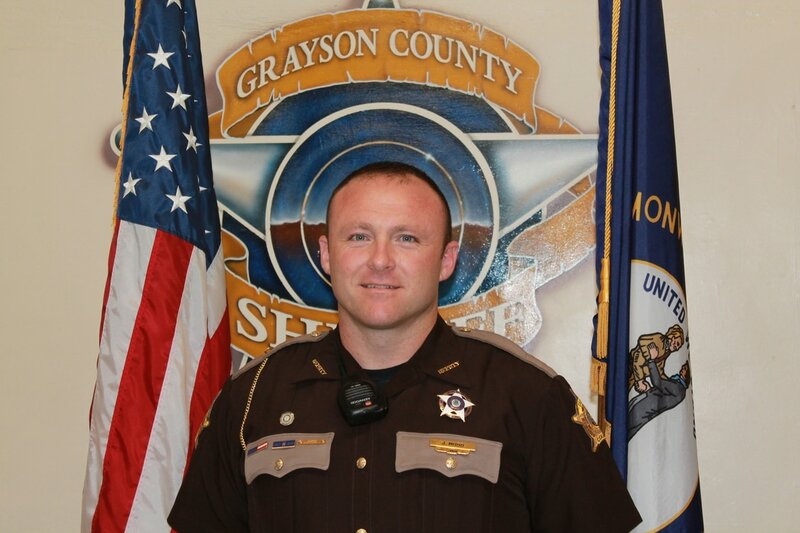 Deputy Rafferty was raised in Grayson County. He graduated from Grayson County High School in 2010. He started his career at the Grayson County Detention Center in 2013 and then joined the Leitchfield Police Department in 2015 until 2017 when he started back with the Detention Center. Since leaving the Detention Center in early 2018 he started working with GCSO in Aug 2018. He enjoys working out and spending time with friends and family. Rance Whobrey is from Leitchfield, KY and graduated from Grayson County High School in 2013. He has served as Court Security Officer with the Sheriff’s Office since 2015. Dpty. Whobrey will begin working the road in 2017. In his off-time he enjoys hunting, fishing, camping, and kayaking. 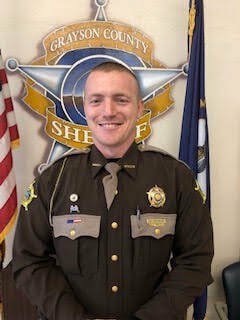 Mark has been a part time deputy with GCSO since 2017. He works full time as a firefighter, EMT and Police Officer at Louisville Airport. 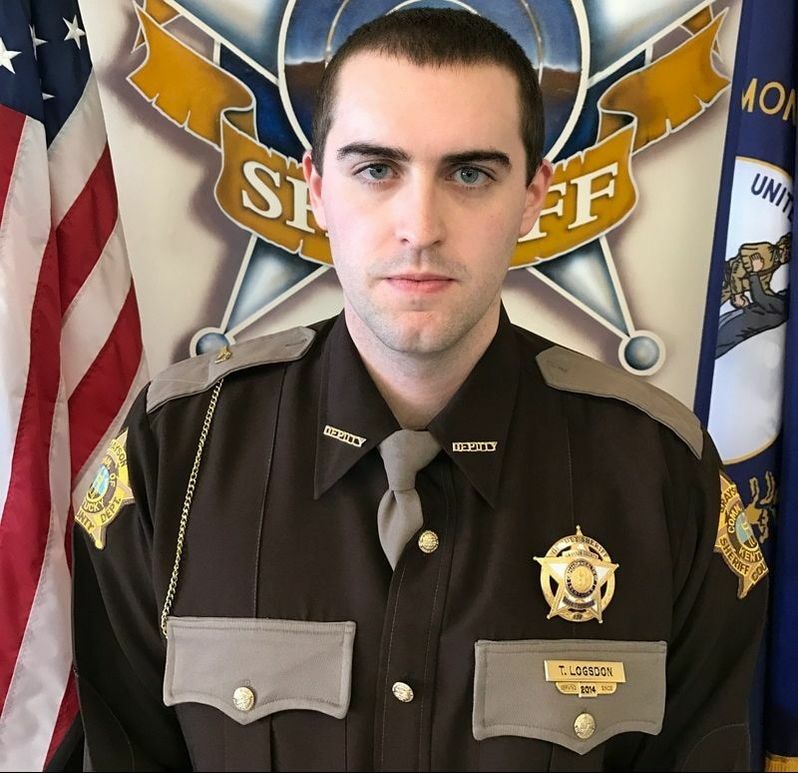 Deputy Newton is from Bullitt County where he graduated from North Bullitt High School and then went on to the University of Kentucky where he obtained a Bachelors Degree in Forestry. 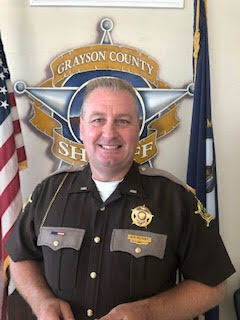 Deputy Newton began his law enforcement career with the Leitchfield Police Department in 2015 and joined the Grayson County Sheriff’s Office in early 2018. Kaleigh is from Hart County. Before starting at GCSO she worked with the County Attorney’s office. She attended WKU where she earned a Bachelor’s in the Arts with a major in Psychology and a minor in Criminology. She enjoys spending time with family and friends and traveling. ​Process Server and Office Asst. Sandra serves multiple roles at the office. She serves court papers as well as conducting office business. 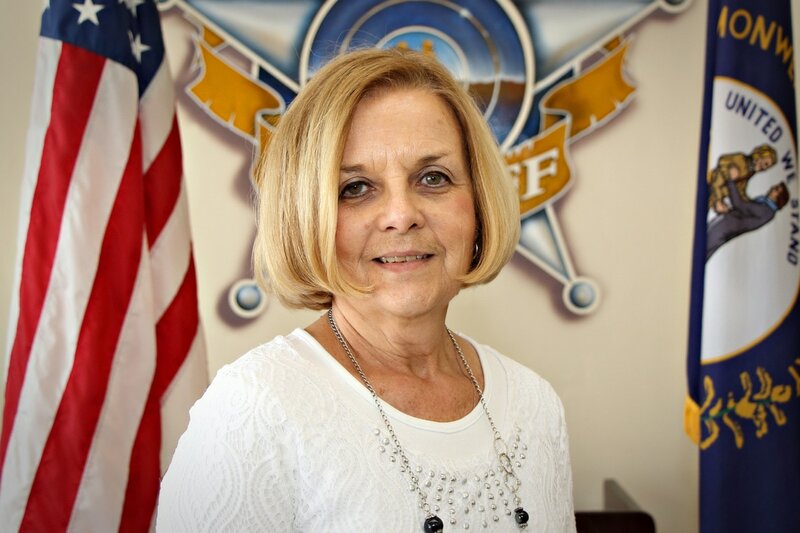 She has over 33 years of office and law enforcement experience and has been with the GCSO for over 13 years. She enjoys doing crafts and spending time with her 2 grandsons. Mandy hails from Caneyville, KY. Prior to working for the GCSO, Mandy was a pediatric dental assistant. She enjoys spending time with her family, attending her son’s soccer and football games at the Grayson County High School and her daughter’s orchestra concerts. Mandy is a proud wife of 17 years. 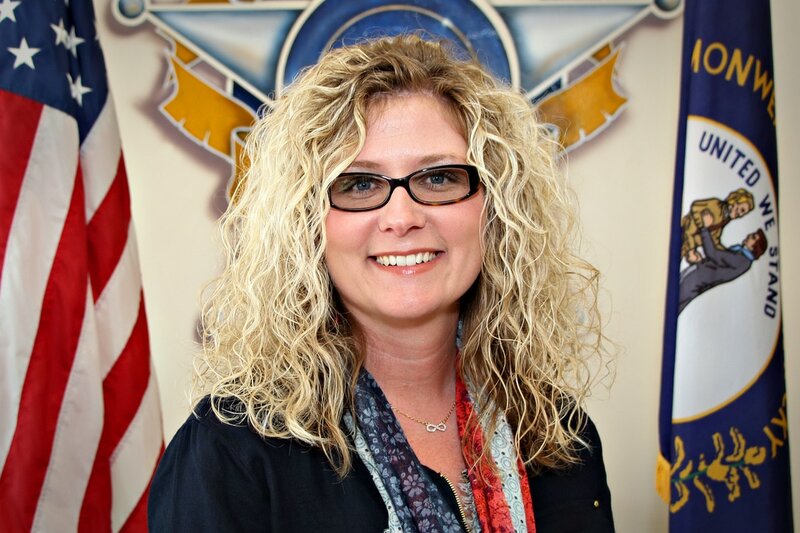 Mandy started with the GCSO when Sheriff Chaffins took office in 2015.